In addition to the Belarusian oil trader Interservice, four more companies plan to take part in the auction for privatization of power generating company PJSC Centrenergo. According to the information disclosure system of the National Securities and Stock Market Commission, Forbes and Manhattan Ukraine (Kyiv), headed by member of the advisory board of the Canadian bank Forbes & Manhattan Mykhailo Spektor, also announced its intention to participate in the auction for the sale of 78.289% of Centrenergo. In addition, Ukrdoninvest LLC (Kyiv), whose beneficiary is businessman Vitaliy Kropachev, also plans to participate in privatization of the power generating company. It is also assumed that Georgian International Energy Corporation (Tbilisi), one of the largest multifunctional energy companies in Georgia, as well as Balance Group LLC (Kyiv), whose ultimate beneficial owner is ex-People's Deputy Dmytro Kriuchkov, detained in Germany on July 14 and suspected of embezzling Zaporizhiaoblenergo funds, will take part in the auction. 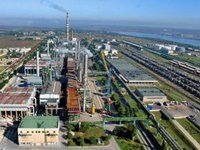 As reported, the Belarusian unitary enterprise Neftebitumen Plant, which has been owned by Interservice, one of the largest Belarusian oil traders, since 2012, also announced its intention to participate in the auction for the sale of Centrenergo shares.